Have a Smart Phone? You HAVE a Light Meter! Cool. 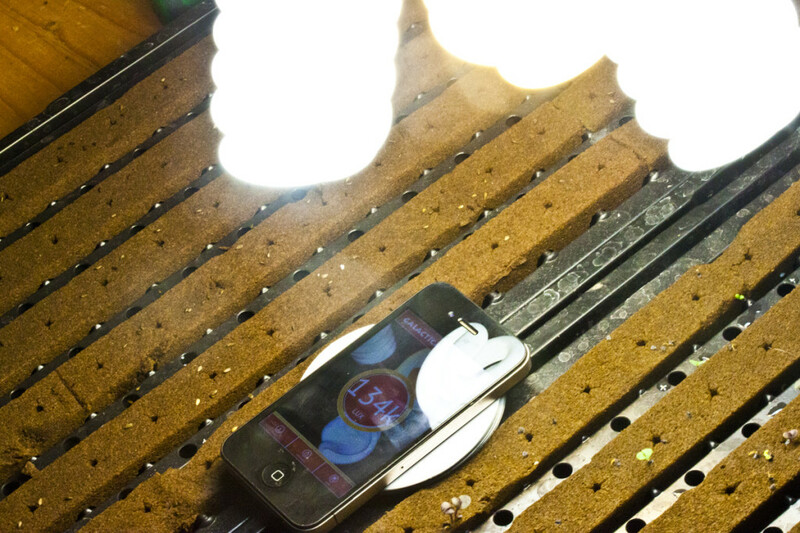 Free grow light meter apps for smart phones like your iPhone or Android. 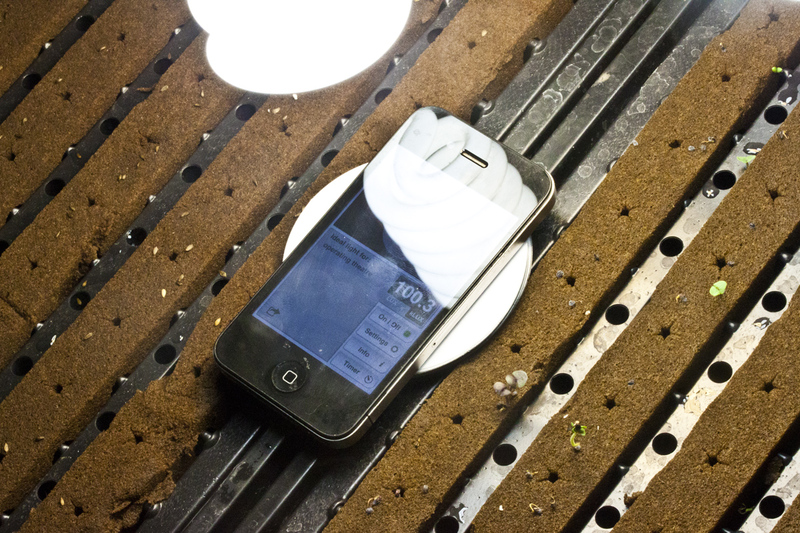 Being humble gardeners, we have an older model iPhone 4 handy and wanted to see if we could successfully use it as a light meter for gauging our hydroponics crop lighting, and it had to be 100% FREE for our test of Free Grow Light Meters Apps. Doing a quick search in the App Store online, we found quite a variety, most of which were best suited for photography. *10 LUMENS = 1 LUX, bright sunlight at noon in Calfornia, USA is about 5000 Lumens or 500 LUX. For the scope of quick and straight to the point free grow light meter apps review, we’ll simply say that there is a lot of different ways to measure light. Lux or lumens measurements not take into account the Spectrum of light, ie the different wavelengths/colors that have different effects on photosynthesis (the light energy that is specific to plant growth). There are other measurements like PAR, MicroEinsteins, etc….and they are not without their criticisms too. For example, it’s silly to think all plants use light nutrition the same–and all the time. As an indoor hydroponics grower, there is a good bet you prefer more blue in the light spectrum for vegetative growth and more red later on in budding and flowering. The difference can be seen and measured. However, LUX or LUMENS for our purposes is just fine for comparing similar light sources for intensity, for example one HPS lamp to another or following a grow tip, that for example says SPECIFIC light sources like: Cool White Flourescent, HPS or MH. So long as you compare relative apples to relative apples and are looking for general readings rather than exacting values this will suit your indoor growing purposes just fine. 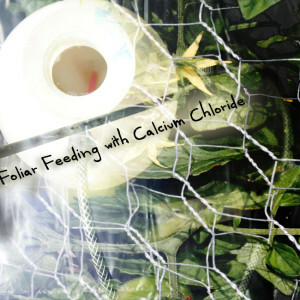 As you progress in your thirst for more knowledge or specific information, you may decide to go more the route of PAR readings, etc, just be prepared to spend more money to know the specifics–although your plants may not seem to care which meter you use, so long as they get the right intensity from the light right source and at the right time. As a benchmark we used “‘Ol Faithful” , our 9V battery powered Milwaukee Instruments LUX Meter. This unit has been in service for a long time, and we still get lots of value from it. It has paid for itself hundreds of times over at this point in terms of improved crops through knowing rather than guessing what our light intensities are and developing a good lighting program for each crop stage. We are perpetually starting fresh veggie transplants indoors for transplant outdoors to our NFT hydroponics system or soilless raised beds. 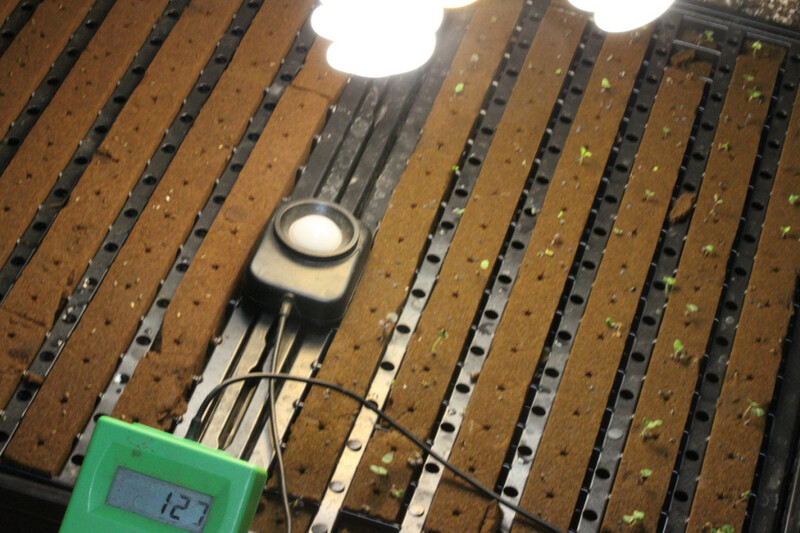 We want to make sure our germinating seedlings are getting enough light while we are equally careful to maintain the optimal temperature, especially for our lettuce. 12oo lumens of flourescent lighting for germination, rooting and pre-veg has proved to be ideal on plants that prefer higher light levels, although typically much higher than this when they are large and near maturity, for example increasing to 5000-7500 lumens of HPS lighting. NOTE: we stated the type of light source in giving those measurements. For Kilo Lux, which is what we are going to measuring in that’s 120 and 500-750 respectively. Whatever…SHOW Me, Don’t Tell Me…. Ok, ok, here are the results (SEE IMGS BELOW). And in case you can’t see the images we liked the Galactica Light Meter App because it was closer, almost the same actually, as our tried and true Milwaukee Instruemnts LUX meter. Plus the display was much easier to see and work with. So, as a final word, please consider this an easy and affordable start in your quest for ultimate crop lighting knowledge. While there is certainly more advanced and plant growth specific technologies available for hydroponics and greenhouse lighting applications, only 10 years ago you could have expected to pay an arm and leg to be able to do the same–and maybe not even as well, and certainly not from out of your pocket with an everyday device. the Whitegoods Light Meter App appeared to fall slightly short and was harder to read. GZ Choice for FREE Grow Light Meter App: Galactica’s was closer to our standard and was much easier to read and use for our purposes.